is now about turning your ideas into reality with professional modelling clay. FIMO by STAEDTLER makes you unique. Your creativity. Your colours. Your style. FIMO is a high-quality modelling clay made in Germany. FIMO soft and FIMO effect are available in 66 colours and you can generate many more by blending them. You can knead and model FIMO and form it into any shape you like. FIMO can also be creatively embellished, polished and varnished. FIMO takes 30 minutes to harden in the oven at 110° C.
Different kinds of FIMO are available for different uses: FIMO soft, effect, professional and kids. FIMO is known in the English-speaking world as clay, polyclay or polymer clay. to express your creativity with FIMO. 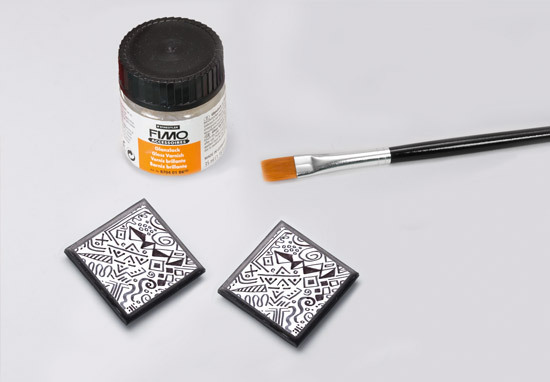 This FIMO tutorial will show you 5 steps before starting with FIMO polymer clay. This FIMO tutorial will show you 5 important basic shapes made of FIMO polymer clay. This FIMO tutorial will show you 4 tips for creating FIMO polymer clay surface textures with great effects. This FIMO tutorial will show you tips for refining FIMO polymer clay with leaf metal and metallic powder. This FIMO tutorial will show you the following techniques for FIMO polymer clay: marbling, colour blending and colour gradients. This FIMO tutorial will show you how easy it is to make a jelly roll cane with FIMO polymer clay. FIMO lets your imagination come true. to become reality. FIMO is as unique as you are. FIMO soft is available in 25 brilliant colours + 5 on-trend colours. Modelling cute llamas with FIMO soft. Designing sweet cupcake pendants with FIMO soft. With FIMO soft you can turn your ideas into reality in the twinkling of an eye. The soft modelling clay is ready to use and easy to blend – ideal for beginners and hobby artists. Easily workable, it has 24 brilliant colours and 5 on-trend tones for you to work with. FIMO effect gives your artwork that certain something: your creativity will shine, shimmer and sparkle. Available in 36 shades and 8 different effects that open up a whole world of stunning options. FIMO effect is available in 36 colours and 8 different effects. Creating glamorous jewellery with FIMO effect. Designing ghosts with FIMO effect nightglow. FIMO accessories include modelling tools, jewellery accessories, decorative materials, moulds and much more. Stylish FIMO metal-look coaster finished with FIMO leaf metal. FIMO gloss varnish to protect the surface. FIMO accessories really let you make the most of your skills. You can add special touches, embellish your work and create new designs. The extensive range includes everything from modelling tools and acrylic rollers through moulds and varnish to decorative materials.